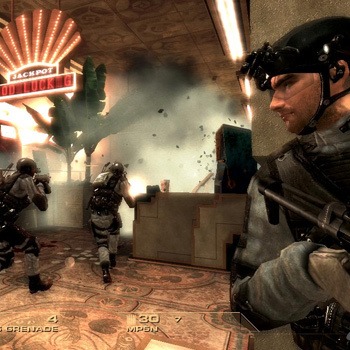 The stakes are high when the world's most elite counter-terrorism unit enters Las Vegas , where over 36.7 million men, women and children visit each year. " Sin City ," the home of the famous Las Vegas Strip, flashy hotels, high-rolling casinos and world-famous celebrities, becomes the setting for a terrorist threat of global proportions. What happens when one of the world's most famous cities is held hostage.